I’ve been dying to share this work in progress! I’m having a lot of fun playing with it and watching it evolve. 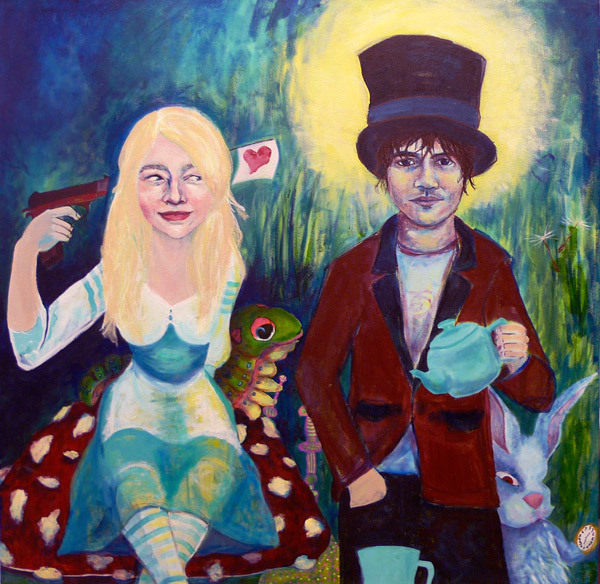 I still have work to do on every aspect of it, the faces, bodies, background… But I’m enjoying taking my time with it. 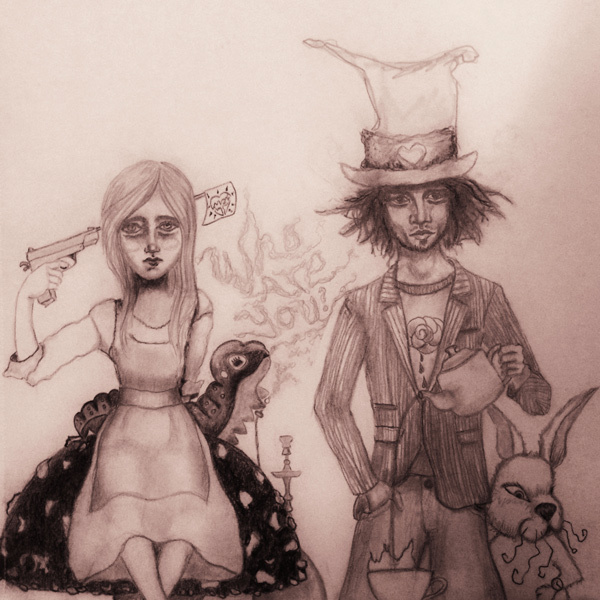 This entry was posted in Alice in Wonderland, General, Paintings, Sketches, Work in Progress Posts and tagged Alice, Alice in Wonderland, art, Illustration, Mad Hatter, Painting, red mushroom, Seattle art, we're all mad here, White Rabbit by heatherunderground. Bookmark the permalink.